Do you want to help support a specific runner or donate to the event as a whole? Click the Donate Button below and either donate to the Run-A-Thon event or scroll down and click on the runner’s name you want to support! Go to our website and sign up. There is a $25 entry fee, which covers your supplies that will be mailed to you. There are 4 brackets for runners to choose from. Each one has a minimum support goal. This is how much we ask that you raise for your race. Don’t worry, we will give you everything you need to help you be successful! The first week of February we will send out all the runner boxes, which will include: Information, Board of Fundraising Squares, T-Shirt, Request Letter Template, Record Sheet. All the things to help you raise support! We will be helping you by posting on our Facebook, sharing your bio and a donate button on our website as well as sharing all your posts! On the week of April 8th-14th find time to run your race and record it using the Nike+ Running App! Share your results on facebook for all to see!! We will be contacting winners within the next week (April 15th-21st) so be on the lookout to see if you won any amazing prizes!! In each bracket, there will be a winner for the runner who raised the most funds and random door prizes! 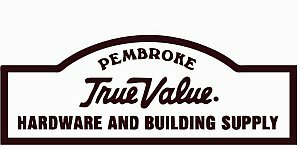 Thank you Pembroke True Value for being our sponsor.